Recofloor, the UK’s award-winning vinyl flooring recycling scheme, has added ten new drop-off sites to its nationwide network across England, Wales and Scotland. The addition of new sites brings the total number of places where flooring companies and contractors can deposit waste vinyl material for recycling to well over 70. They are located at N & C Nicobond premises in Glasgow, Cardiff, Southampton, Plymouth, Chadwell Heath, Stoke-on-Trent and Leeds; Headlam in Gateshead plus their satellite in Middlesbrough; Beds Flooring in Bedford and Branagan Flooring Services based in Sharston, Manchester. Commenting on the new sites, Matt Charlton, of Axion Consulting which manages the scheme, said: “The new sites include areas where previously Recofloor did not have a presence, so these are a welcome and useful addition to the network. As many of them are in major centres, it means flooring companies now have an even greater choice of convenient outlets where they can deposit material for recycling. “In diverting waste vinyl flooring from landfill, they not only save on expensive disposal costs but they can demonstrate sustainability within their business that can help them win new customers,” added Matt. Julian Workman, Northern Operations Manager for N&C Nicobond commented: “Our environmental responsibility is a fundamental and integral part of our company strategy and is at the forefront of our operations. As major stockists of Polyflor and Altro, as well as the introduction of our own manufactured vinyl floor tiles, the partnership with Recofloor allows us to significantly enhance our green credentials. This enables us to adopt this fantastic initiative, which forms part of our on-going sustainability agenda in order to proactively manage our carbon footprint, and that of our customers. “With a clear view of the company’s direction and commitment, we take the vital steps needed, not only to ensure compliance to UK and European Standards and legislation, but more importantly to develop in new ways that meets the market needs of today without jeopardising the interests of future generations within all areas of our operations,” added Julian. Founded in 2009 by UK flooring manufacturers Altro and Polyflor, Recofloor won a prestigious Business Commitment to Environment Award for its innovative and sustainable approach to the collection and recycling of waste vinyl flooring. This award win in June coincided with the scheme having recycled its 1,000th tonne – an important milestone in its three-year history. Vinyl flooring waste can be recycled back into new flooring products as well as traffic management equipment, such as cones and sign bases. 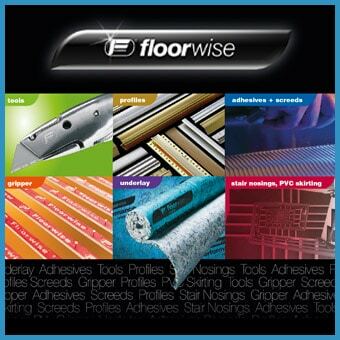 For more information on Recofloor, contact 0161 355 7618, check out www.recofloor.org or email [email protected].